Their Finest Hour is the official Royal Air Force Association commemorative set marking the 75th Anniversary of The Battle of Britain. 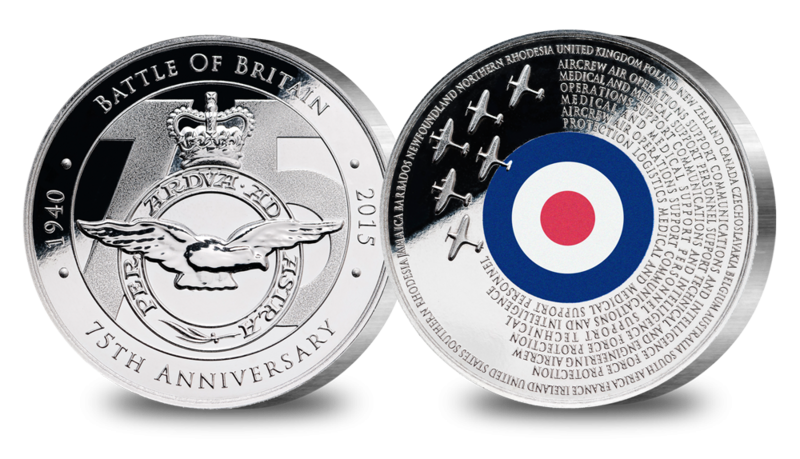 The Official Silver plated Batttle of Britain Medal, an outstanding salute to the RAF and the crucial role they played in WWII. Presented in the official Battle of Britain presentation folder this Battle of Britain 75th Anniversary Collection is an outstanding salute to the RAF and its crucial role in the Battle of Britain. 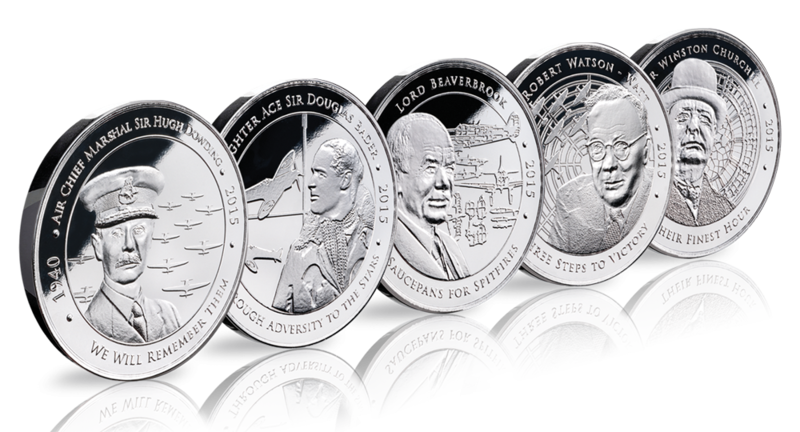 This set includes the complete Men and Machines commemoratives - a set of five proof commemorates honouring the five outstanding men that played the most significant roles in the winning of the Battle of Britain. All five figures have been chosen for their crucial contribution to victory in the air during that extraordinary summer of 1940. Douglas Bader represents the courage and tenacity of the pilots themselves. Prime Minister, Sir Winston Churchill kept the nation united and focused with his inspirational oratory during those tense summer months. Air Chief Marshal Sir Hugh Dowding masterminded Britain’s air defences as they faced their ultimate test in the Battle of Britain. Sir Robert Watson Watt was one of the unsung heroes of the Battle of Britain. It was he who discovered and developed the detection of aircraft by radio waves, which gave Fighter Command vital time to prepare for and counter Luftwaffe attacks. Finally, we celebrate the dynamism of Lord Beaverbrook, Minister of Aircraft Production and a member of Churchill’s inner circle. 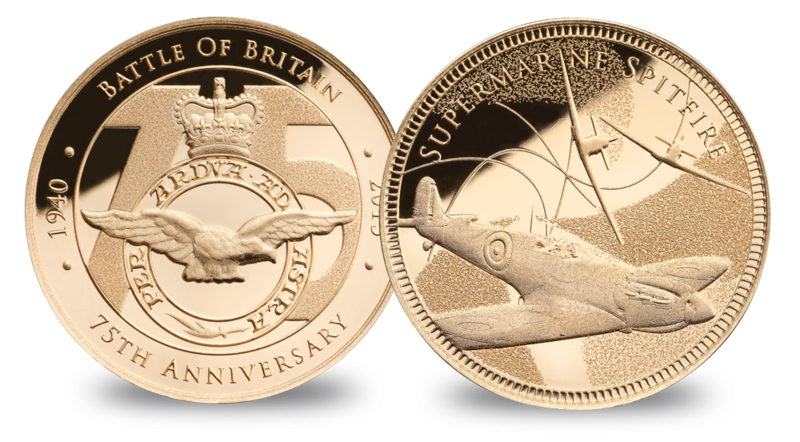 Completing the set is the Supermarine Spitfire Gold Commemorative struck in 9 carat gold. This is truly a worthy commemoration of the Battle of Britain which pays tribute to the people and the machinery that played a pivotal role in Britain’s ultimate victory during World War 2.